Step 1 Heat the oven to 475 degrees. Step 2 In a large bowl, toss the Brussels sprouts with 2 tablespoons olive oil, then place them in a single layer on a rimmed baking sheet. Step 3Roast the Brussels sprouts in the oven, tossing periodically, until crisp and lightly browned, about 15 minutes. Toss the Brussels sprouts every few minutes for even coloring. Step 4While the Brussels sprouts are roasting, in a large bowl, whisk together the remaining one-fourth cup olive oil, lemon juice, salt, pepper, garlic and red pepper flakes to form a dressing. Step 5When the Brussels sprouts are roasted, remove them and toss them with the dressing. Transfer to a platter and serve hot. In Recipes-list.com we have selected the most viewed recipes from category - Quick and easy Vegetables Vegetarian . Enjoy the best recipes specially selected for you! 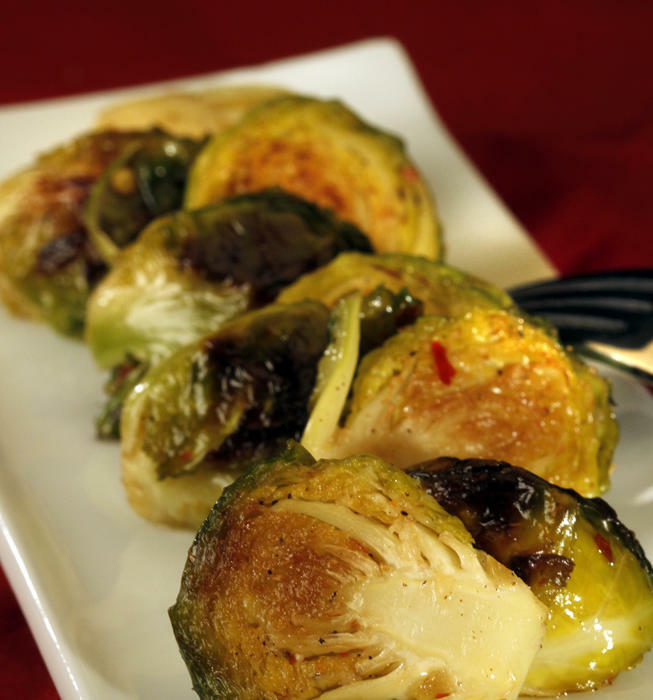 Boon's Brussels sprouts is the right choice that will satisfy all your claims.